Walk? Ride a bicycle? Decorate it up and join Bike-Walk Dunwoody for the LARGEST 4th of July Parade in all of Georgia!! Fun for all ages. 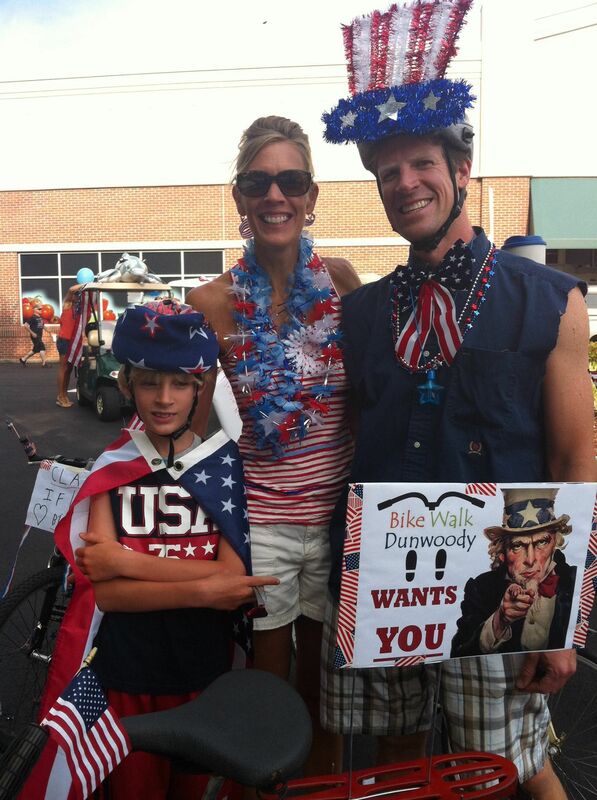 For info about the parade, checkout the info on the Dunwoody Homeowner’s Association website here. Meet in the Sprouts parking lot in space 105. Bring water & wear sunscreen. At the end of the parade, we’ll hang out at Village Burger for custards. Novo Cucina is providing $200 worth of gift cards to selected entrants for dining at their restaurant! 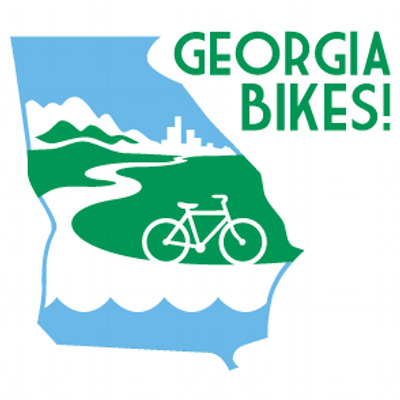 We’ll award two separate $50 gift cards to: a) The best decorated bicycle / riding machine b) The best decorated/costumed person. (To two separate persons/families). 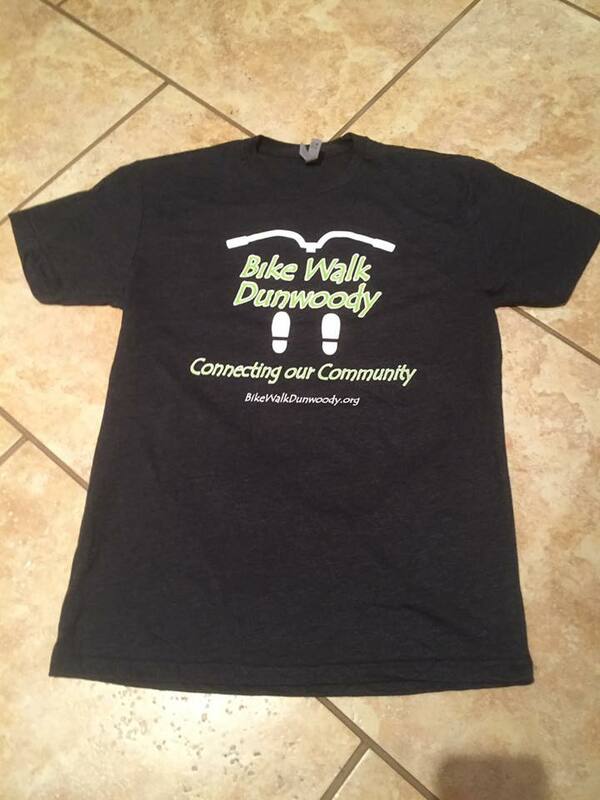 Thanks to our sponsors, the first EIGHTY (80) people to participate get a NEW 2016 edition Bike Walk Dunwoody T-Shirt for free to wear in the parade. Made by Next Level, it’s a lightweight 60% Cotton / 40% Poly blend and will be fashionable wearing out & about through the year. 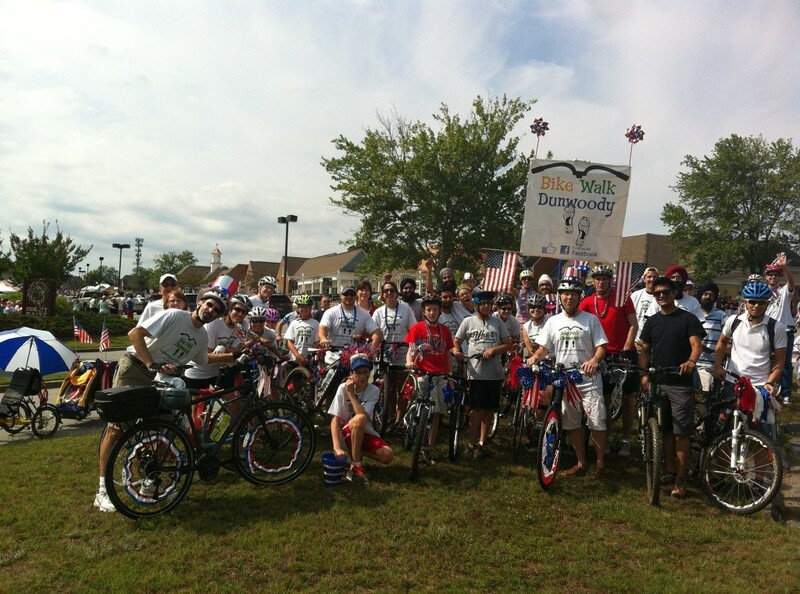 We’ll meet up promptly at 8 am for the 2 mile parade. 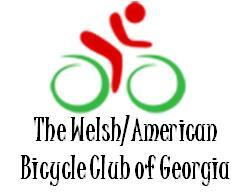 * STRONGLY encourage people to either ride to the start or carpool. Be sure to bring water & sunscreen. If you’re on a bike, please wear a helmet. After the parade, we’ll hang out at Village Burger for custards!